The Atlantic Coast pipeline suffered a major legal blow last night as a federal court tossed a key Endangered Species Act assessment for the project. The 4th U.S. Circuit Court of Appeals yesterday vacated the Fish and Wildlife Service's review of Atlantic Coast's impacts on threatened and endangered species along its route. The decision could derail construction on the 600-mile Dominion Energy Inc. natural gas project, which stretches from West Virginia to North Carolina. It's the clearest environmental victory yet in a long-running opposition campaign against the project. But Dominion and environmentalists disagree about the ruling's immediate impacts. In a short order, a three-judge panel found that the agency's incidental take statement — an estimate of affected species — fell short of the ESA because it failed to set clear limits on how many animals could be affected. "[W]e conclude, for reasons to be more fully explained in a forthcoming opinion, that the limits set by the agency are so indeterminate that they undermine the Incidental Take Statement's enforcement and monitoring function under the Endangered Species Act," the court wrote. The species at issue include types of bats, mussels, isopods and bumblebees. "The real issue, and the issue that the court seemed to get very clearly during oral argument, was that the agency hadn't met the minimum requirements of the law," Southern Environmental Law Center attorney Greg Buppert told E&E News last night. "Under the Endangered Species Act, the agency is supposed to quantify a limit on the take of endangered species, and that hadn't happened here," he added. "The language was so vague, it undermined the purposes of the incidental take statement." The panel heard arguments in the case just days ago in Richmond, Va., in what was a rough session for the government. "They have to set a clear limit [on takes]," Judge Stephanie Thacker, an Obama appointee, said during arguments last week. "It's not clear to me." The panel also included Chief Judge Roger Gregory, a Clinton and George W. Bush appointee, and Judge James Wynn Jr., an Obama appointee. Can the pipeline move forward? The decision's impact on Atlantic Coast could be significant, freezing all or some construction. But environmental attorneys and developers disagree over whether that will happen. Dominion spokeswoman Jen Kostyniuk said pipeline construction will move forward. "We remain confident in the project approvals and the ACP will continue to move forward with construction as scheduled," she said in an email. "This decision only impacts activities directly covered by the Incidental Take Statement in certain defined areas along the route." Buppert, the SELC attorney, maintained that the order means all construction and related activities must halt. The Federal Energy Regulatory Commission's certificate for Atlantic Coast requires consultation under the Endangered Species Act, but with the incidental take statement vacated, the consultation process is no longer complete, he said. "We're going to pay attention to what's happening on the ground because if any activity proceeds, we have a very strong position that it's no longer complying with the FERC certificate," he said. Sierra Club attorney Nathan Matthews said the groups will ask FERC to issue a stop-work order in light of the 4th Circuit's opinion. "If Atlantic Coast pipeline chooses to engage in activity that causes take while not covered by an incidental take statement, they're running significant legal risks," he said. ClearView Energy Partners analyst Christi Tezak said Atlantic Coast's schedule is in jeopardy, as she thinks it's likely FERC will agree to halt construction around endangered species habitat. "We think that there is a high probability that FERC will direct suspension of construction operations in these areas while the FWS revises the ITS," she wrote in a memo last night. Dominion says it plans to work with the government to continue pipeline construction. "We will fully comply as required while we continue to construct the project," the company spokeswoman said. "Although we disagree with the outcome of the court's decision, and are evaluating our options, we are committed to working with the agency to address the concerns raised by the court's order." 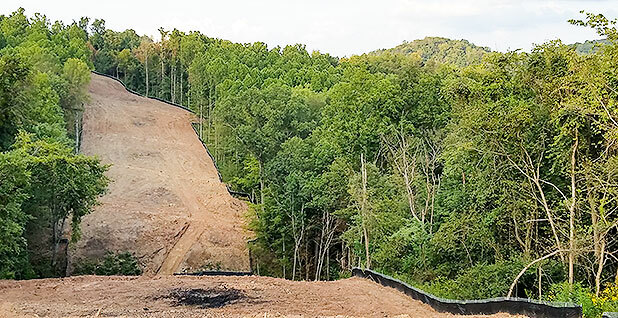 The case is one of many legal battles over the Atlantic Coast pipeline, which is also facing challenges related to landowner rights, federal rights of way, water permits and FERC's certificate for the project. Don't miss out on exclusive cyber interviews and insights on critical infrastructure threats. Sign up to receive the special E&E News cybersecurity update now. Judge: How can FERC know pipeline impacts unless it asks?